Today, on Equal Pay Day, U.S. 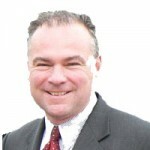 Senator Tim Kaine co-sponsored the Paycheck Fairness Act, legislation to address gender-based wage discrimination. Today we mark another Equal Pay Day, the symbolic date when women’s salaries finally catch up to men’s salaries from the previous year. We just got a jobs report today showing that we’ve now seen the fastest job growth in the United States in the first half of the year since 1999. As someone who has spent the better part of my life fighting for fair pay for women, I believe it’s always a good time to talk about the pay gap. But the topic is especially important now—and the timing has little to do with Equal Pay Day on April 9.